Diesel is being sold as twice as fast as petrol and the mismatch is set to accelerate. 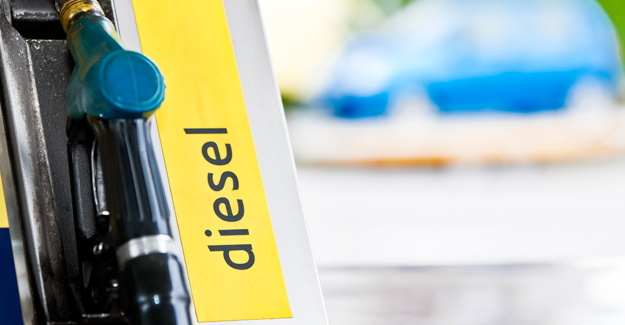 By 2030 it is forecast that diesel could be selling four times as fast. Forecasts suggest that demand for diesel will keep rising – according to some estimates by as much as 20% by 2030 – while demand for petrol drops. At this stage diesel would outsell petrol by four litres to one. The report points out that the number of diesel cars has soared in recent years, from 1.6 million in 1994 to 11 million in 2014. The number of heavy goods vehicles has also risen: from 421,000 in 1994 to 474,000 in 2014 (this is below the pre-recession peak of 510,000 in 2007 but is rising again as the economy recovers). “Ministers have just announced plans to curb air pollution with potentially significant implications for the millions of households who run a diesel vehicle. As this report illustrates, diesel-engined cars, van and lorries are deeply engrained in our society. The report also highlights another concern – the security of supply of diesel fuel. “Today every other car bought is a diesel, but our refineries have struggled to keep pace with demand and have not attracted the investment they need to switch over from petrol production. “Most of our refineries – some of which are more than half a century old – were built when diesel was a niche product. Retrofitting them is a billion pound decision that has failed to stack up for investors who see refining as a low margin business despite our sky high pump-prices. The result: since 2009 three UK refineries have closed, and others have been up for sale. Nick Vandervell has worked in the oil industry since the early 1980s, both in the exploration side of the business, as well as ‘downstream’ refining and marketing. He has a keen interest in energy issues and the motor industry. He was Communications Director of the UK Petroleum Industry Association, which represents the eight main oil refining and marketing companies, between 2004 and the end of 2013. During that time he was responsible for developing and implementing a communications strategy that encompassed government and media relations, issues management and the writing of a wide range of articles and briefing papers, as well as co-authoring or authoring major publications including Meeting our energy needs – the Future of UK Oil Refining and Fuelling the UK’s future – the role of our refining and downstream oil industry.